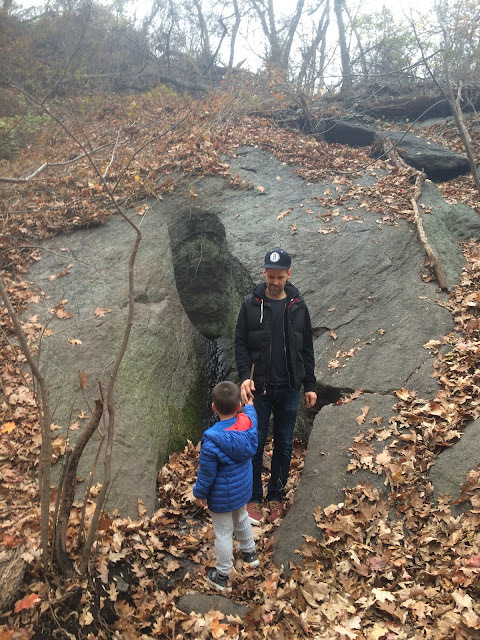 New York City Family: NYC Hiking via subway: Caves, glacial potholes, salt marshes...who knew! 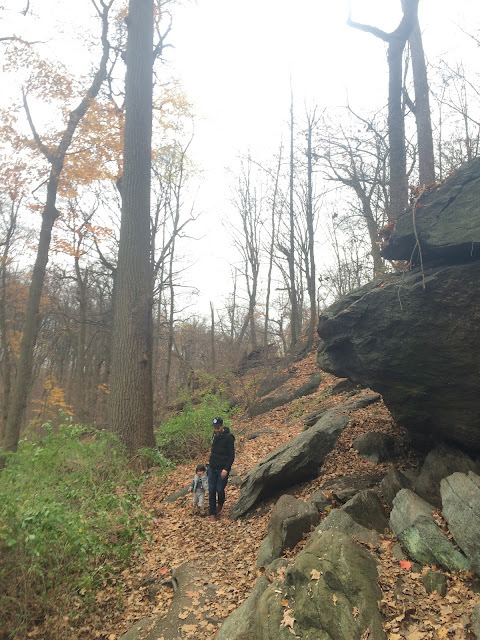 NYC Hiking via subway: Caves, glacial potholes, salt marshes...who knew! 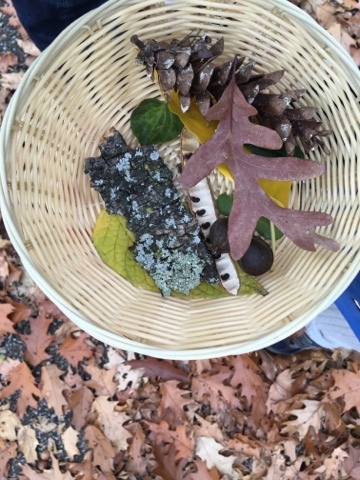 Excerpt from the above link: The 196-acre park includes not only dense woodlands, but a rugged topography of giant ridges overlooking the Hudson River, Indian caves, glacial potholes and Manhattan's only remaining saltwater marsh as well. This little-visited urban wilderness is at its best in springtime and is always just a subway ride from anywhere in the city. It's also a geological wonderland, a birder's paradise and an area rich in local history and legend. And with its soccer fields, baseball diamonds, nine tennis courts and meadows for picnicking, it's a good place to play, yet not far from the madding crowds of other city parks. 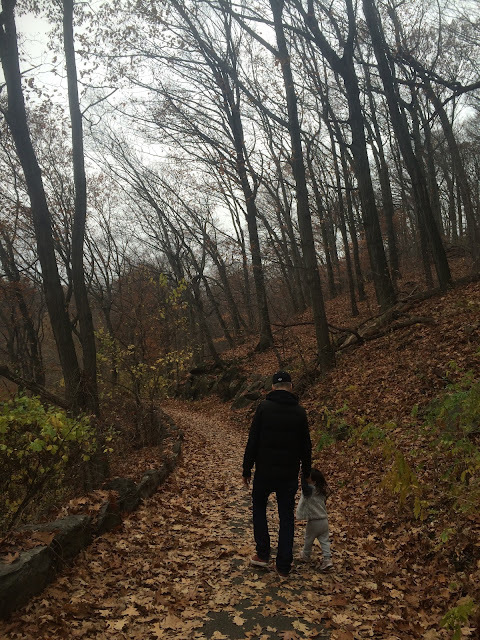 The best way to get to know Inwood Hill Park is to wander its more than 10 miles of footpaths, beginning at the main entrance at Seaman Avenue and Isham Street. 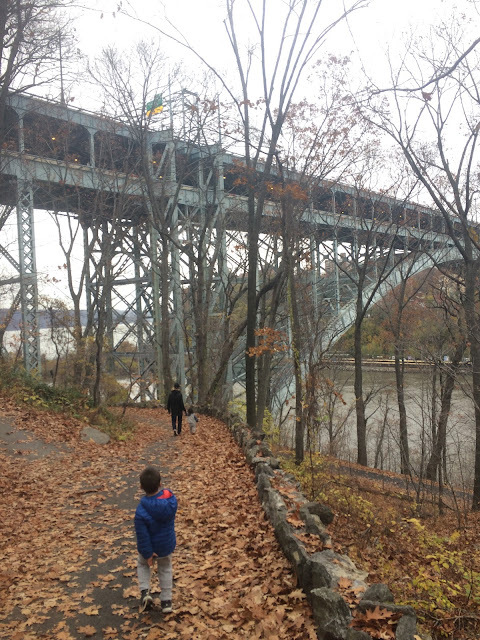 Beyond the flagpole, a trail winds up the hill, overlooking the waters of Spuyten Duyvil Creek and a small, marshy lagoon. 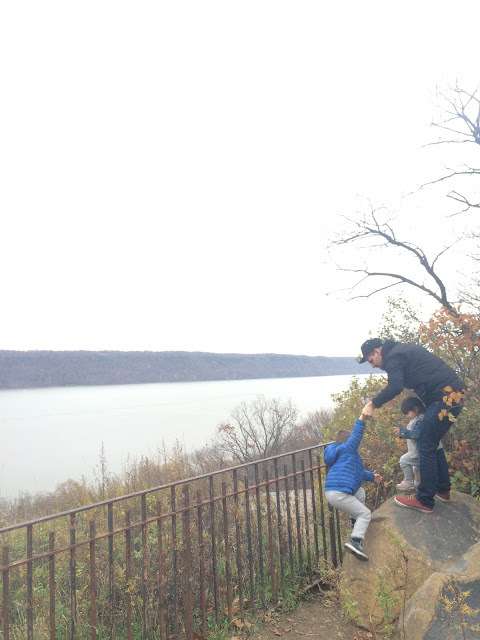 Excerpt from above link: On the northern tip of Manhattan, a twenty-minute walk from the subway, is an historical site so rare and unexpected that it warrants a detour on any tourist’s itinerary. 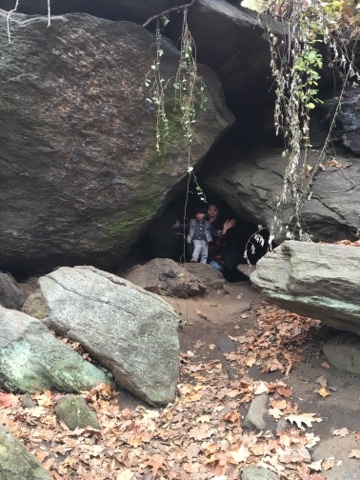 The majestic “Indian caves” of Inwood Hill Park were once used as a seasonal camp by the Lenape people who lived in the region before the arrival of explorer Henry Hudson in 1609. 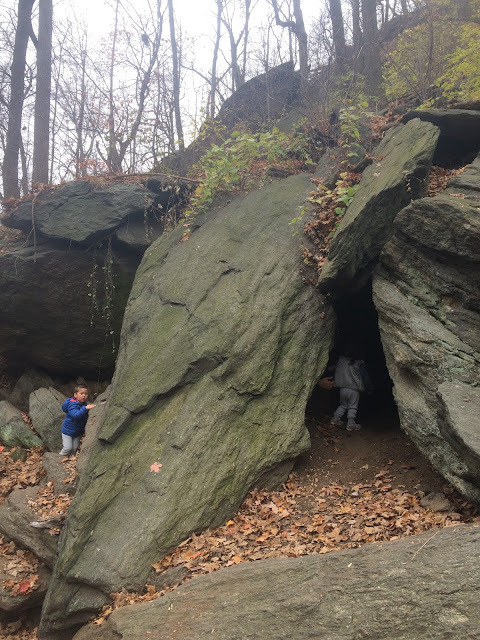 The caves, created by the tumbling of rocks during a glacial retreat more than 30,000 years ago, are a picturesque reminder of the Native people who once lived on Manhattan Isle. 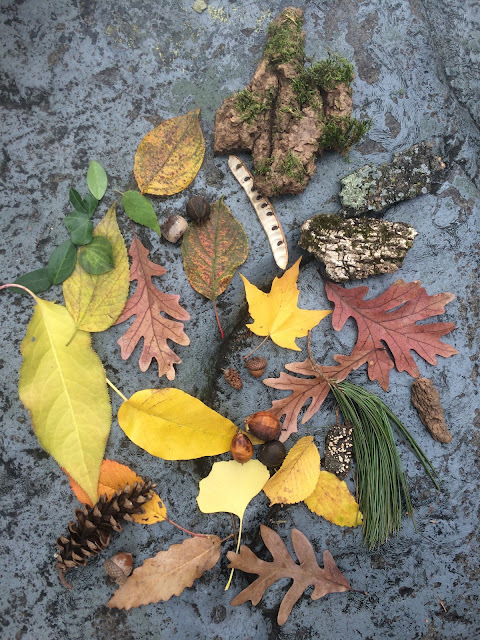 Excerpt from above link: Inwood Hill Park, a 196-acre oasis at the northern tip of Manhattan, features the last remnant of the tidal marshes that once surrounded Manhattan Island. The marsh receives a mixture of freshwater flowing from the upper Hudson River and saltwater from the ocean’s tides. The mix of salt and fresh waters, called brackish water, has created an environment unique in the city. Whoah, we're in a cave in the city!